There was a lot going on at the same time as this install, so unfortunately, I only got "after" pics. The hood is open because there was a problem with the hood release, and I wanted to be able to show the customer what was done under the hood when he picked the truck up. 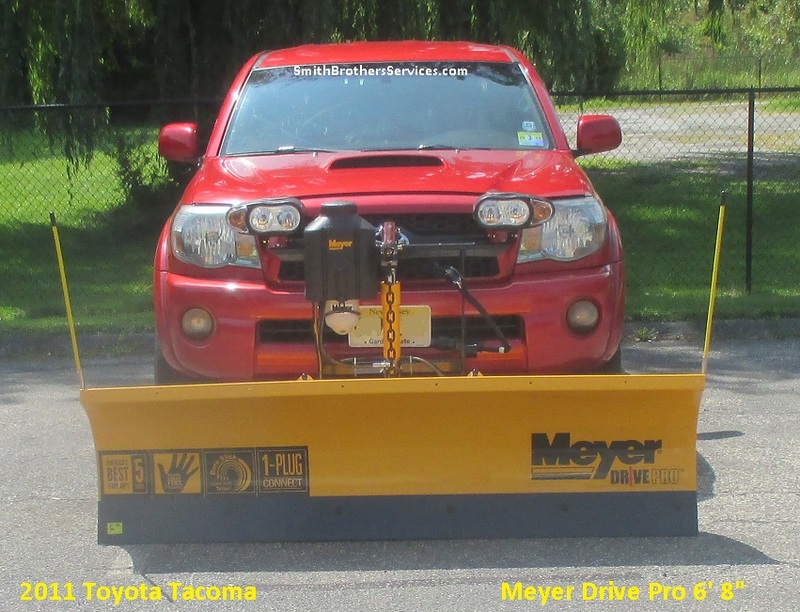 Check out the Meyer Drive Pro 6' 8" Tacoma Install Page for a lot more details of an install on a 2005 & up Toyota Tacoma. It is still one of my favorite trucks to install a plow on! Meyer Drive Pro Mounting Carton for 2005 & up Toyota Tacoma. Universal Clevis is NOT INCLUDED. Meyer Drive Pro Universal Clevis ONLY. For mounting Drive Pro Single Handle Pull plows. It is not included in Meyer Mounting Cartons and must be purchased separately.